RAVENOL SCOOTER 2-Takt Fullsynth is a high quality fully synthetic two-stroke engine oil for air and water cooled two stroke Scooter engines. Based on Polyolester with special esters and Polyisobutylene (PIB) it offers optimum protection against wear and prevention of corrosion, deposits and auto-ignitions, even under heavy loads. 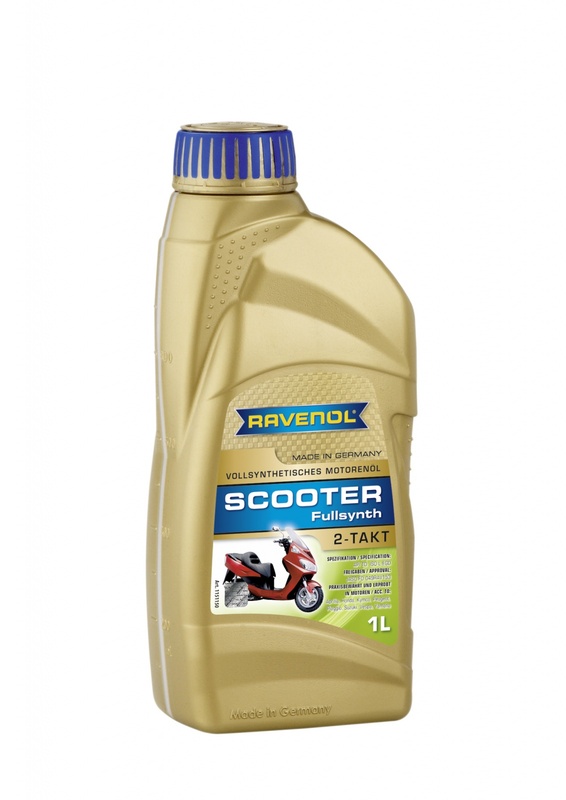 RAVENOL SCOOTER 2-Takt Fullsynth can generally be mixed with regular petrol 1:100, or used in separate lubrication and self mixing systems. It is also suitable for 2-stroke scooter engines with high speed and heavy loads.